Del Toro Auto Sales Blog: No Credit? No problem! We can get you financing today! No Credit? No problem! We can get you financing today! For people who do not have credit, it can be difficult when searching for a car loan, however our talented and trained staff at DelToro Auto Sales can take care of auto loans without pain. We honor everyone who walks through the door and wants a No Credit Car Loan from us in Auburn, due to any financial hardship or lack of credit, we are sure we can help. We have many years of experience and are trained experts when it comes to finding the best service and financing for our customers. 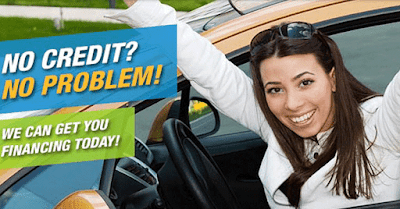 If you’ve found it difficult to finance a car due to a lack of credit visit Del Toro Auto Sales in Auburn and take advantage of our No CreditCar Loans. We have an extensive network of lenders which allows us to offer some of the best rates for our customers which enable them to help grow their credit and become more financially stronger. We take pride in assisting people, in all financial situations, no matter the reason, and we will search to find the best deal that fits your budget. Once you are on the road with one of our reliable used vehicles, all you need to do is make your monthly payment and you will see your credit history grow and improve. With many years of experience and as a respectable dealer, we are proud to be know to help finance people in need. Our experts in financing will be sure to make the process easy and stress free when applying for a No Credit car loan at Del Toro Auto Sales. We have many options of used cars, trucks, SUVs and vans awaiting for your visit, and we are optimistic we can find the right vehicle for your needs. Stop by our dealership and ask about our exciting offers and specials we have available for our customers. Visit us on the web at www.Deltoroautosales.com to begin the approval process online or call us to make an appointment to speak with one of our experts. Why Sell Your Vehicle to Del Toro Auto Sales?